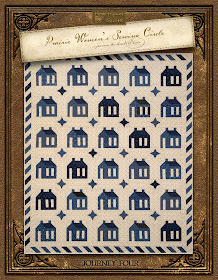 It won't be too long now until my new Primitive Threads fabrics will be delivered to your local quilt shop!! So jazzed and excited about this very special collection, and it seems many of you are jazzed about it as well. 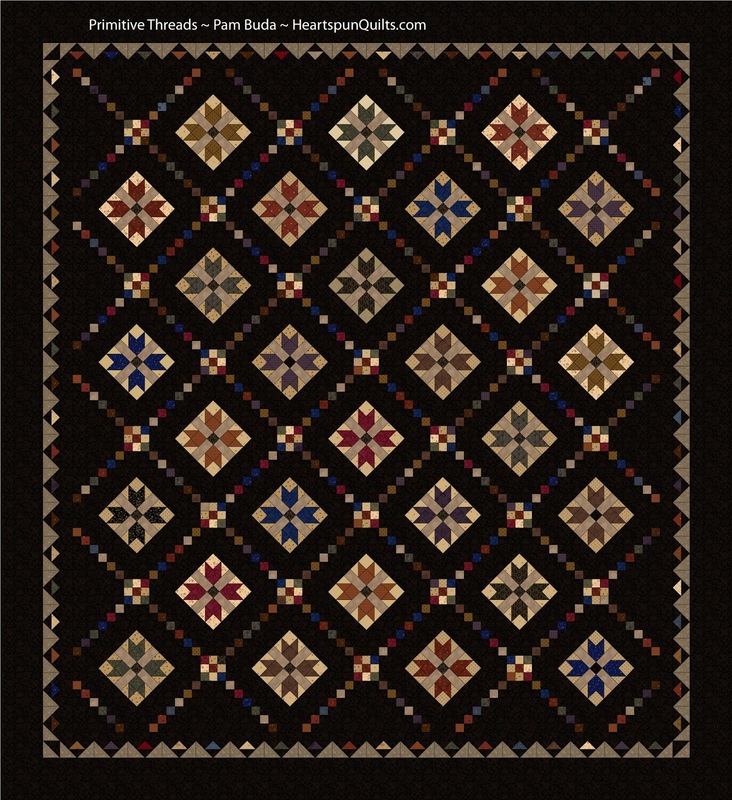 I've had a lot of email inquiries and requests for a kit for this quilt. 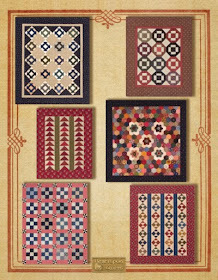 First of all.....please, please ask for this fabric collection and quilt pattern at your local quilt shop. You know I want you to always shop there first!!! 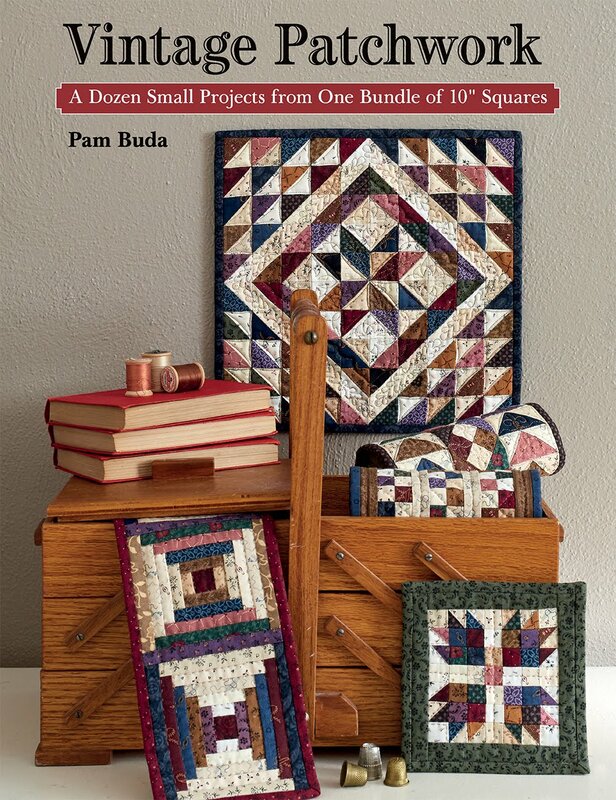 It's very important to support our quilt shops because we want them to be around for years and years to come. Many shops will be kitting this quilt, too. 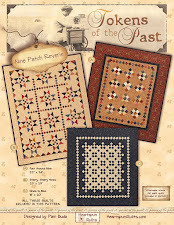 Primitive Threads is due to arrive in your LQS in May. For many of you, your LQS is hundreds of miles away from home and/or doesn't carry historic prints...so...with that in mind, I have two special offers for you! 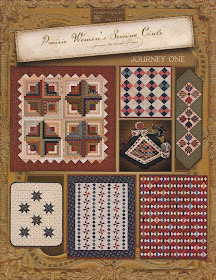 I am taking ***PRE-ORDERS*** for both the Primitive Threads quilt kit and Fat Quarter bundles! 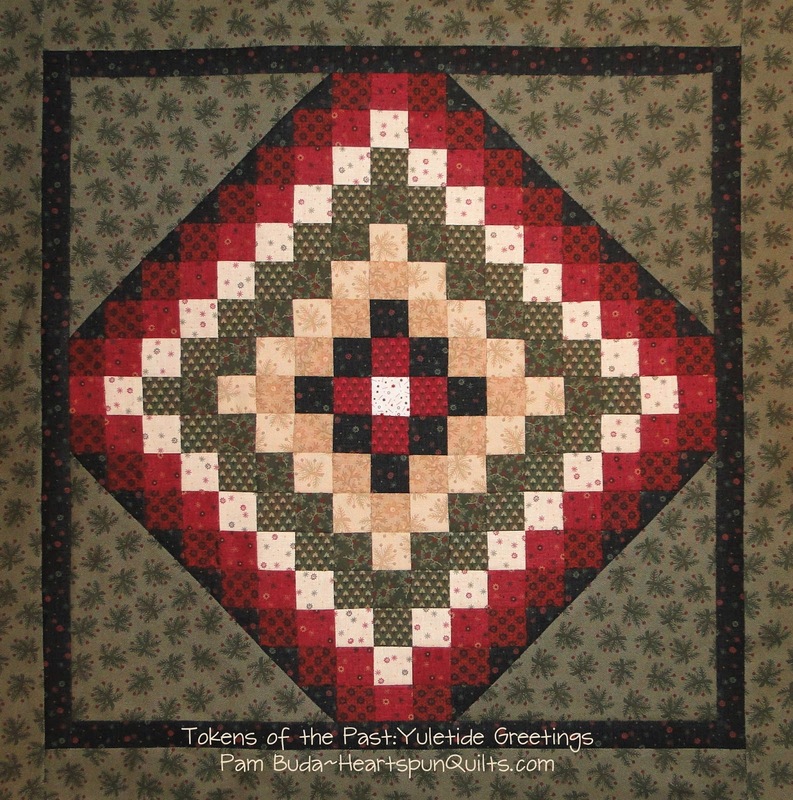 Click here to place your order for a Primitive Threads Fat Quarter bundle. You'll only be charged $5.50 shipping....anywhere in the U.S.!! 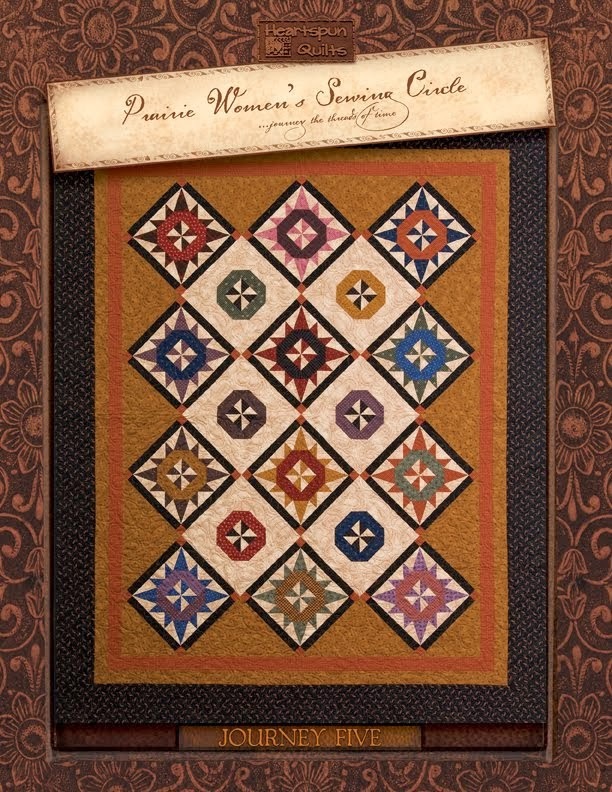 My special for the Primitive Threads quilt kit is....with this PRE-ORDER only....receive the quilt pattern FREE and pay only $5.50 shipping anywhere in the U.S.! 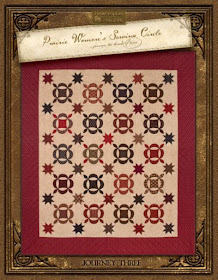 Click here to read more details about the Primitive Threads quilt kit. Special offers are for a limited time. 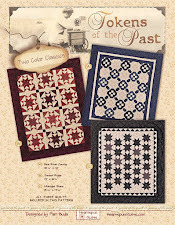 Order no later than Tuesday, April 17th to be guaranteed a quilt kit and/or bundle. Your order will ship in May as soon as I receive the fabric. I know how anxious you are to receive your quilting goodies (I'm the same way!) so I do my best to get your items to you as soon as possible. 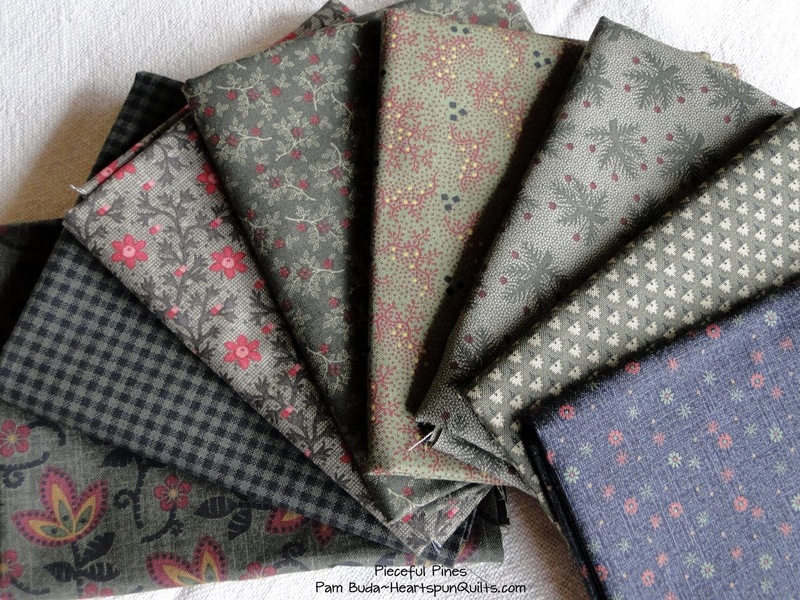 Thank you for your continued support of my patterns and fabric. 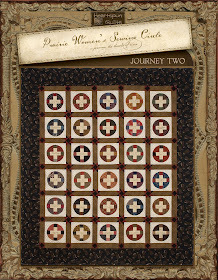 Because of YOU I am able to continue to bring you traditional quilt patterns and historic fabrics through Marcus Fabrics! 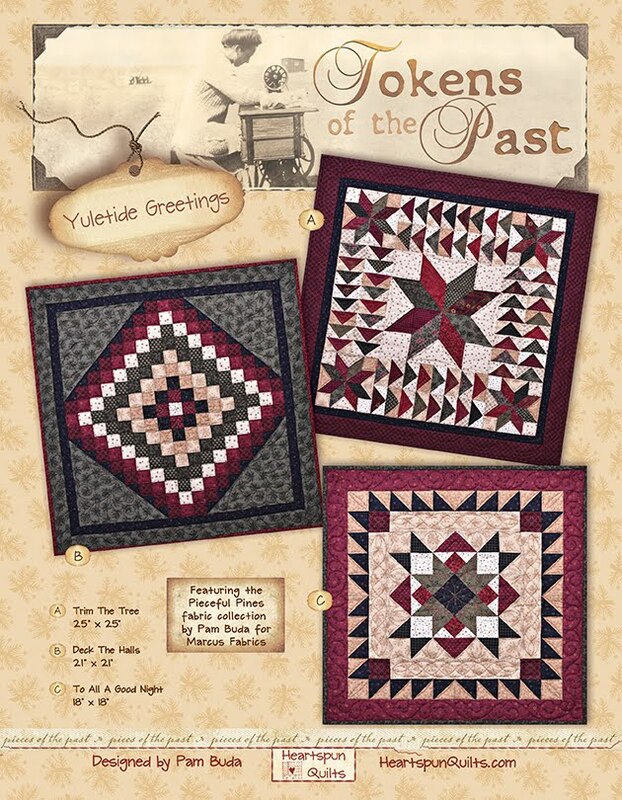 I can finally share the first quilt in my new Tokens of the Past: Yuletide Greetings pattern called Deck The Halls. 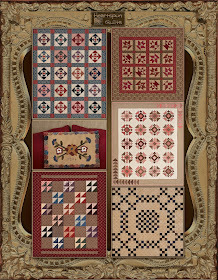 This was great fun to design as I played with the different colors and shades of each fabric. I added a twist throwing in the black triangles and set the quilt center on point. Love, love how it turned out!! And now...the quilt top is off to my quilter, Ronda. 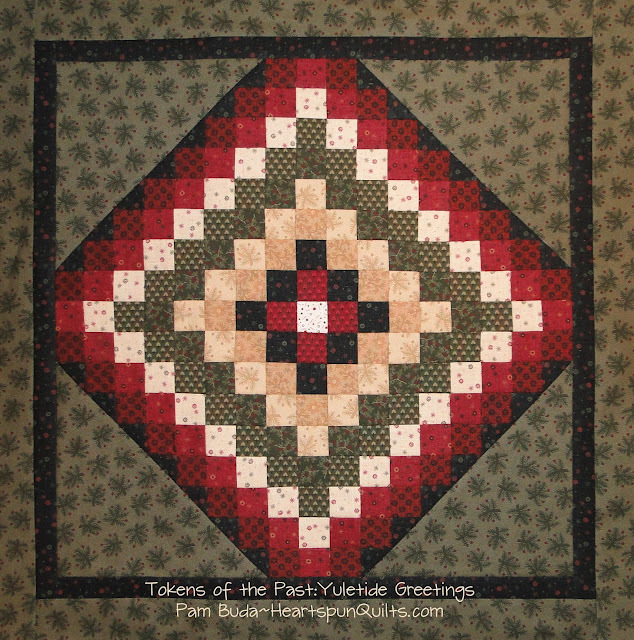 This is quilt two of three included in the Yuletide Greetings pattern, and hopefully, when I return from my trip to Massachusetts, the third one will be complete as well. 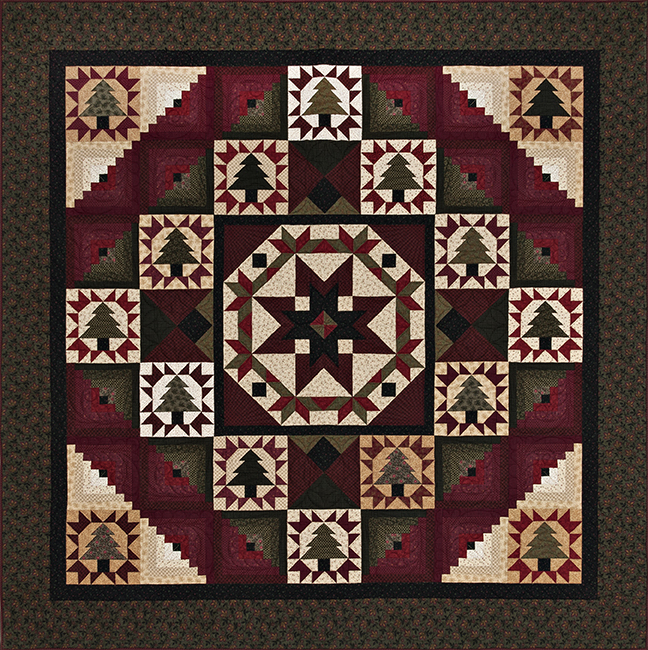 The quilts feature my Pieceful Pines fabric collection and are made using one 10" x 10" precut plus additional yardage for blocks, borders, and other fun stuff. 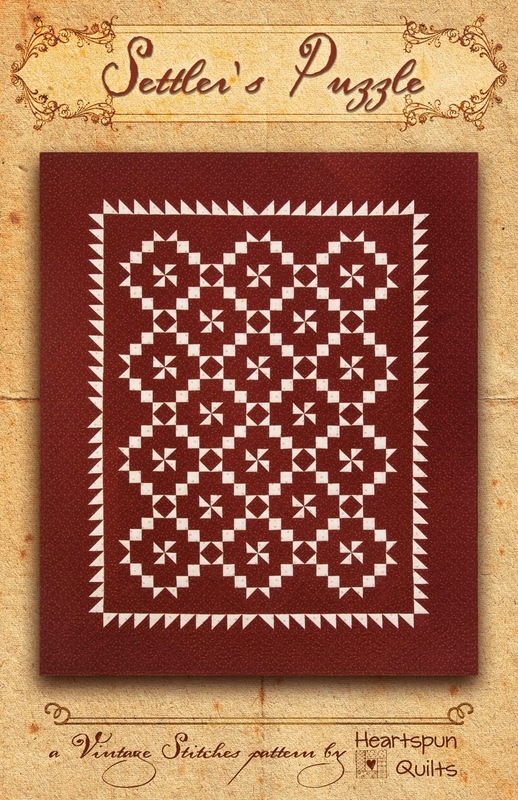 The pattern and precuts will be available in May....I think. It won't be too much longer! 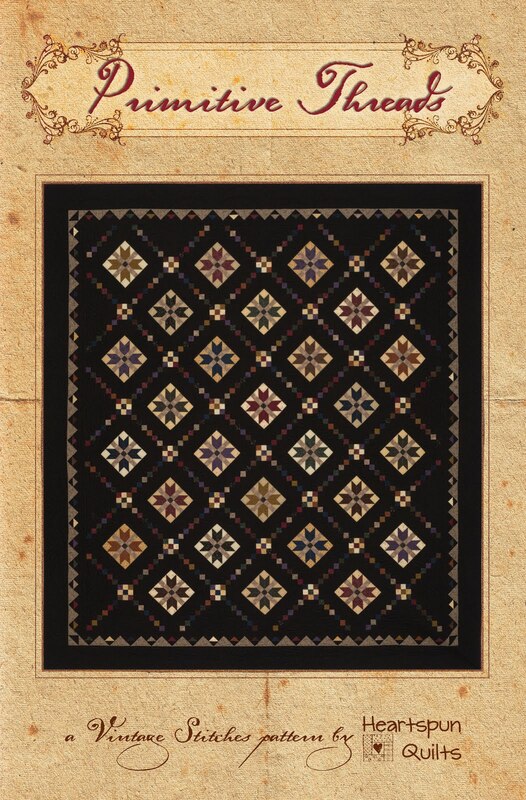 My Primitive Threads sample yardage arrived on Monday and I've begun starching the yardage in preparation of making the quilt. I won't be able to begin piecing the quilt until I return from MA which is kinda killing me! 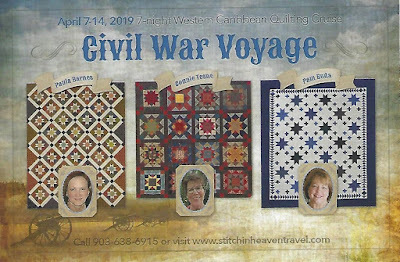 I am so looking forward to the trip...but...I have brand new fabric and want to play with it! Sigh.....too many good things all happening at once....champagne problems, Pam! 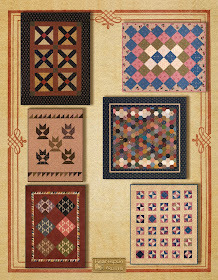 Look for special offerings for Primitive Threads in my next post!! 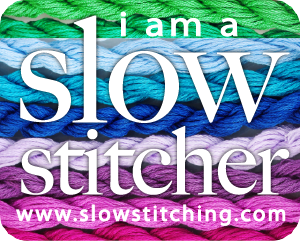 Until then....don't worry...stitch yourself happy! 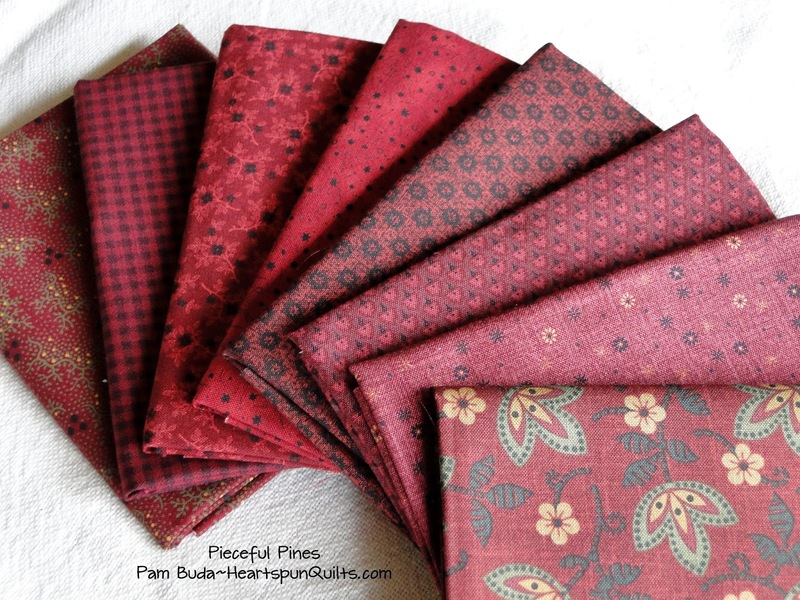 This week, my Pieceful Pines fabrics are arriving at your LQS!! So exciting! Sign-ups continue for the Block of the Month program....have you signed up yet?? The program will begin in April and there are lots of shops participating! 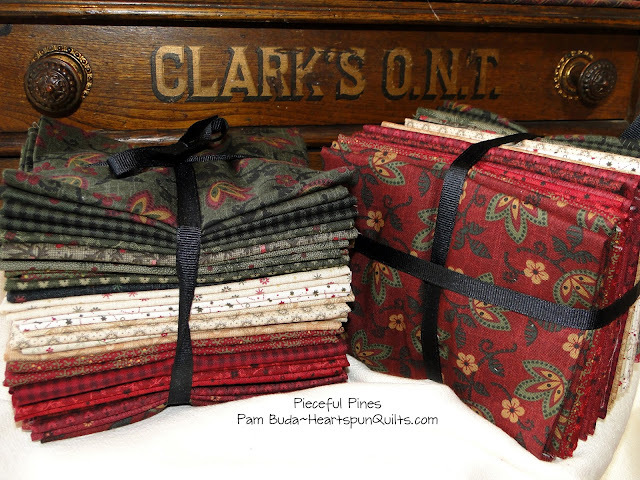 Give your LQS a call and ask for Pieceful Pines or Google it to find a participating shop. It's such a fun quilt to make. 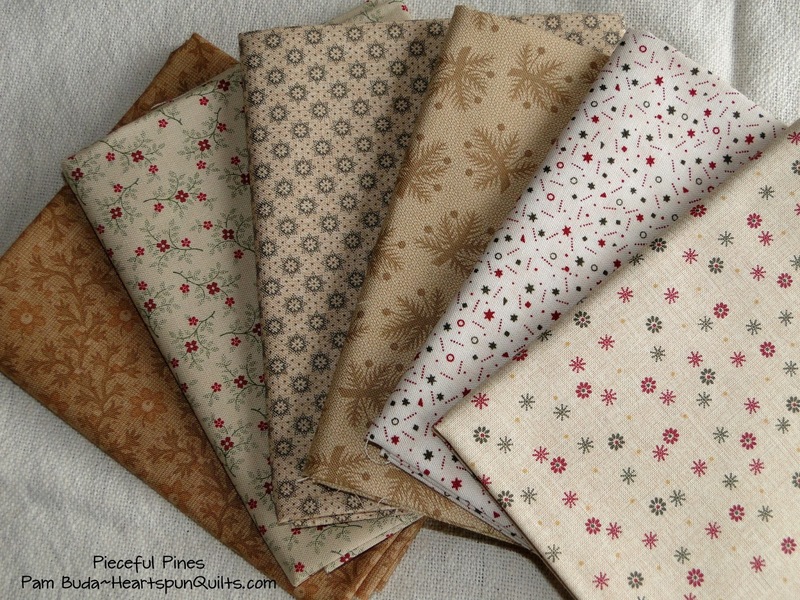 I cut a bunch of Fat Quarter bundles and they're ready to ship for your piecing pleasure. Assorted greens and one black print. 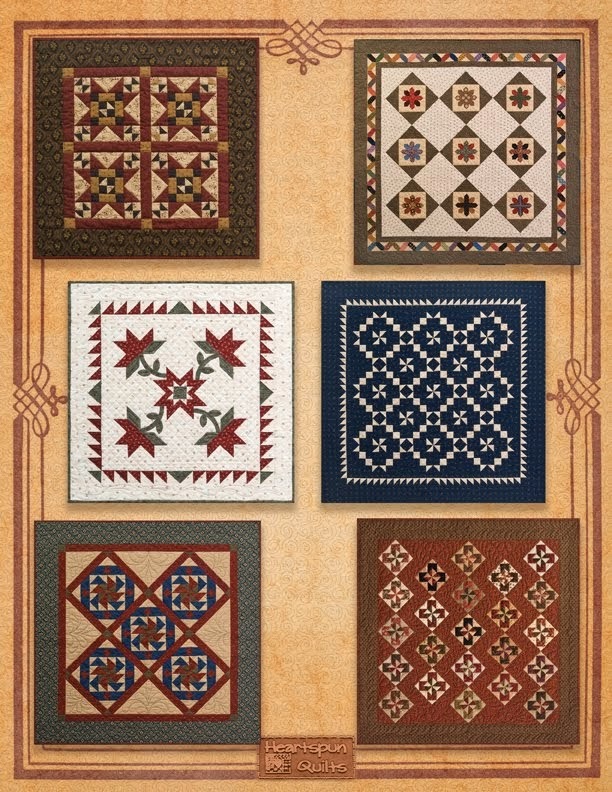 Look for all of these prints at your local quilt shop....you know I want you to support your local shop!! 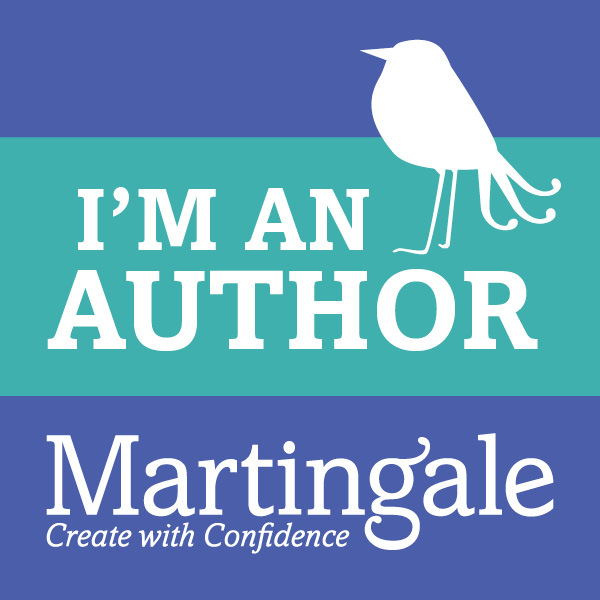 But...if you can't find it near you, you can order from my website here. 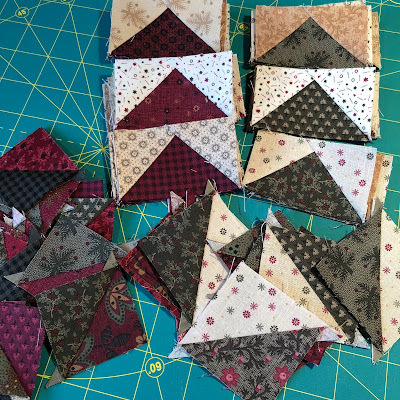 I've designed 3 new quilts for a new Tokens of the Past pattern using the 10 inch precut of Pieceful Pines and am presently piecing them. Can't wait to show you!! In the meantime....get your happy on with needle and thread. Advice I think I'll take myself!